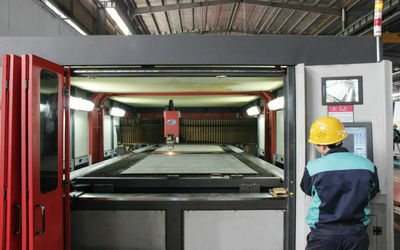 LTMA Machinery Group (LTMG) was established in March,2001 in Xiamen, China, has two Joint-stock manufacturing factorys. The wheel loader factory locate in Xiamen City and the forklift factory locate in Taizhou City, China.Which are specialized in the manufacture, sale, service and R&D of construction and engineering machinery. Currently, LTMG have more than 550 staffs, among whom 40% are university staff, including 60 engineers and technical researchers. 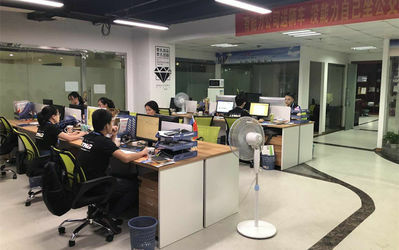 Most of the 32 technicians have many years experience in wheel loader and forklift manufacturing industry, with rich experience and comprehensive technology, they served as a Chief Engineer or Assistant Chief Engineer in well-known forklift manufacturing enterprises. Since foundation, LTMG has always kept its professional role in Chinese construction machinery industry. At present, it among Top 100 Chinese construction machine enterprises, develops products from 5 ton wheel loader to the most complete product type and series: 1-8 ton wheel loaders,10-40 ton forklift loaders,(as well as grapple loaders, side loaders.) ,1-35 ton forklift trucks(diesel, gasonline, LPG, battery), electric pallet forklifts. LTMG is committed to build quality assurance system. All the Products have been approved by the State Bureau of Technical Supervision,ISO 9001:2008, and CE certificate. The 1.5-4 ton diesel and LPG forklift series meet with the USA EPA standard. 2006-2015 LTMG is assessed as the Model Enterprise and the Enterprise of Integrity in Xiamen City by the government. 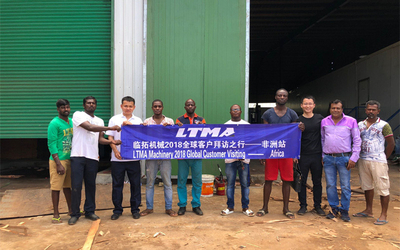 With 20000 ㎡ non-dust workshop, 17 years experience, CE certificated,11 kilometers distance to Xiamen Port, this is how LTMG keep superior quality and competitive offers for global valued customers. 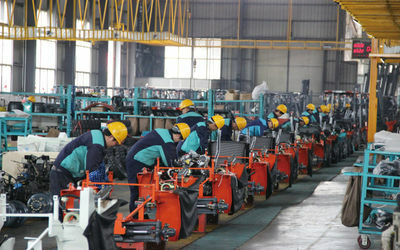 Rooted in China with a global vision, LTMG has paid attention to technical innovation by establishing a R&D Department. LTMG has launched a batch of products representing Chinese advanced level in recent years, including: 8-ton-level wheel loader, 10-ton-level side loader forklift,40-ton-level forklift truck, Now LTMG owns more than 50 effective authorization patents, among which 36 are invention patents. Some patents such as the auto-cooling brake systems makes our machine more energy efficient and guarantee the safety of operator. With the development of market segmentation and the increasing customer demands, LTMG defines itself as the high cost-effective construction machine manufacturer as well as high quality OEM factory in China. 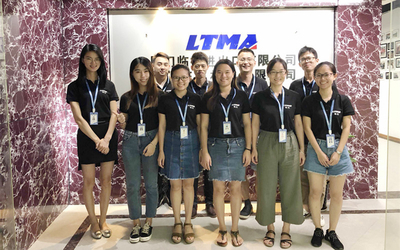 LTMG isn't aiming to give the cheapest product to customers, however, aiming to give the best and mature products with competitive price on a large-scale. These years, LTMG has also been the supplier of the Daewoo in South Korea, ACE in India, BPDB in Bangladesh and so on. Nowadays, LTMG has established a marketing network covering the whole China, and over 30 LTMG overseas agents have been set up to provide global users with all-round marketing service, So far LTMG products have been exported to more than 100 countries and regions around the world. In the coming years, LTMG will continue to be in endless pursuit of excellence with unremitting efforts. Long Teng Machinery Group (LTMG) was established in March,1999 in Huli District, Xiamen, China, has two Joint-stock manufacturing factorys. The wheel loader factory locate in Xiamen City and the forklift factory locate in Taizhou City, China.Which are specialized in the manufacture, sale, service and R&D of construction and engineering machinery. We manufacturers(LTMG), always treat the after-sale service as important as sale.We would supply the outstanding sales service as well as after-sale service for you. We have over 100 maintenance centers which spread all over the country answer customer’s inquiries and respond to customers' request for assistance and provide innovative and effective solutions to customer needs within 24 hours. All branches or offices of lTMG providing not only maintenance anytime but also the rental service. We do our best to overcome time and geographical constraint to serve our customers. According to the custoomers’s request. We provide long-term consultation as well as warranty by our highly competent and skilled technical personnel. Consistent administration of users' files, and friendly, patient and attentive technical consultancy is our promise. Parts distribution centers of our company.At all levels provide you with original parts. Users' training sessions and symposiums are conducted on a regular basis. Should you be dissatisfied with any detail of the sales and service of our company. Please feel free to contact us and we will do our outmost to provide a solution which you will find fully satisfactory.